Sevilla might be the odd man out. After I went off last week concerning the “top” team’s inability to handle inferior squads Valencia, Barca and Real Madrid all defeated their unworthy opponents on Sunday. This is old news, but the REAL news is how this translates to a mid-season run for each club. Valencia doesn’t have anybody tough until they play Barca on March 14th and then Madrid on April 18th. 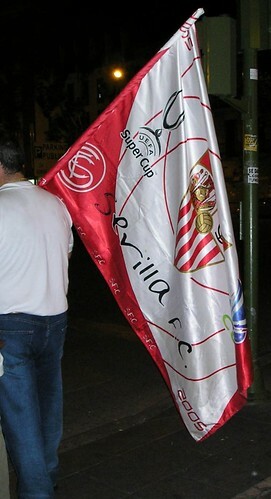 The road is a little tougher for Valencia, but otherwise they also play a majority of inferior opponents. Plus, since they are the “tough out” for Barca this could shape up to be interesting. For all the expectations around these 4 clubs only 3 can have a strong run: Barca, Real Madrid, and Valencia. They may not live up to my predictions, but I know FOR SURE that Sevilla’s schedule is just too hard at the end of the season.